Virtus.pro captain Wiktor “TaZ” Wojtas has been benched and is allowed to negotiate with other teams. He will be temporarily replaced by Michał "MICHU" Müller. 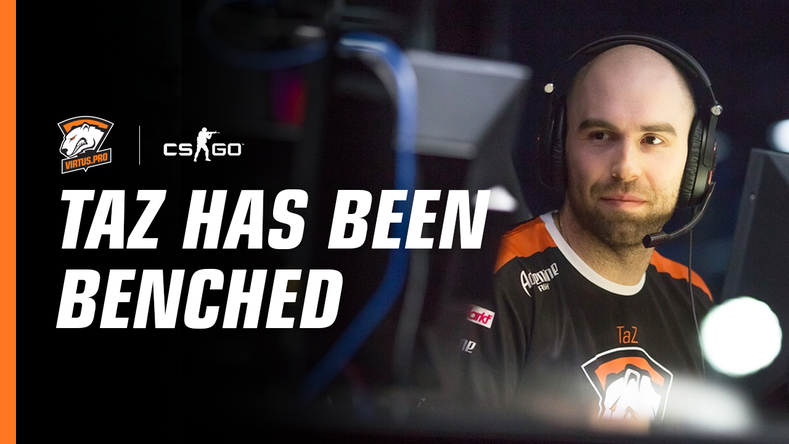 Note that it is not a permanent transfer: the Team Kinguin player will play as a stand-in in the upcoming Kiev and Katowice tournaments. Roman Dvoryankin, VP General manager: “We have promised our fans back in Atlanta that VP will only become stronger in the future. This is a first step. It’s a small, but important one. I would like to welcome MICHU to our family, he’ll be playing with us for the next month including SLTV and IEM events in Kiev and Katowice. In March we will make further announcements on the lineup. I would also like to thank Wiktor for his commitment throughout the years of his time in Virtus.pro. He’s the main reason Golden 5 joined VP, kept playing for VP and kept playing together”. Michał "MICHU" Müller is a 21 years old professional CS:GO player who represents the Polish scene. At the beginning of his career, MICHU performed in team GF-Gaming together with Janusz "Snax" Pogorzelski and Paweł "byali" Bieliński. From 2013 through 2016 MICHU played in Poland's tier-2 teams, such as Meet Your Makers, Dobry&Gaming, G2, and ESC Gaming. He currently plays for Team Kinguin as an entryfragger. Michał Müller is one of the most promising players on the Polish scene. MICHU has a history of playing as a stand-in for Virtus.pro on quite a few tournaments. Gfinity 2015 Spring Masters 1 marked the most successful collaboration with MICHU – our team claimed the third place with MICHU standing in for Snax. Furthermore, the Virtus.pro line-up have won Caseking King of Kings with MICHU standing in for pashaBiceps during the group stage.